At Massage Naturals, you will find many therapy accessories, skin care products, spa equipments online at an economical price. Your one and only massage therapy supply outlet, Massage Naturals provides you with all the equipments, lotions needed for specialized therapists, spa practitioners or chiropractors. Massage Naturals is a leading outlet for getting massage lines, fleece pads, bolster covers, and face rest covers. They also offer other massage accessories like lotions, oils, massage creams etc. The lines are unbleached and durable coming at an affordable price. The lines have a choice between many colors. All the products are earth-friendly without disturbing the natural environment and have a clean green tag. Though earthly products are expensive, Massage Natural products when bought directly from the online store is affordable and does not cost much when compared to other sources. The products that are available in massage therapy supply outlet are massage tables and chairs, table linens, pads and blankets, quilted coverlets and other fashion bedding’s for the massage parlor. Hand held massage tools and other massage table accessories, many kits and packages, hot & cold stone therapy complete kit and accessories, aromatherapy supplies, other massage lotions, creams and oils are all available here at Massage Naturals massage therapy supply outlet. All the necessary items are available at a single centre and it saves much time and money also. The products available at Massage Naturals massage therapy supply outlet are as per brands as well. Brands like Biotone, Bon Vital, Sombra, Lotus Touch, Organic Bath & Body, Biofreeze, Amber Products, and Therapro etc are the ones that offer massage lotions, oils and crèmes and aromatherapy accessories. The massage tables and chairs come from Stronglite, Master massage and custom craftworks. The tables may be portable and collapsible. The face rest comes along with or is available separate. The lines are offered by Body lines. All kind of sheets, covers, blankets, thermal wraps are available in many colors also. Towels of different sizes, bolster covers, wash cloths, face rest covers, fitted table sheet, cotton blanket etc are all there. There are bottle covers, muslin facial cloths also. All kind of facial treatment supplies and tools for manicure, pedicure, and waxing supplies are also available. Spa robes and wear are available for men and women separate. The spa robe is cotton and comes in white or any other color. It is different for men and women. The wraps are free size, soft and comfortable with Velcro closure. Even disposable bikinis are available. 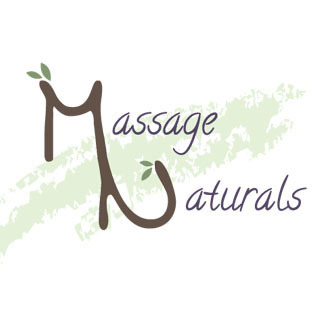 Massage Naturals products are available for retail as well as wholesale purchase. The customer service of massage therapy supply outlet is very prompt and staff is available at business hours for any assistance needed.